Oil-free moisturizer with SPF 30 protection and a luxurious firming cream for the eye area. 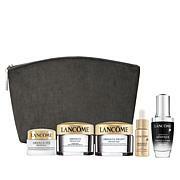 I love Lancme I have been using it for 18 yrs. and the main reason is IT WORKS! I usually use Renergie cream but I thought I would try the lotion and I love it! Take a before and after shot and se for yourself! Great products, great price for both. Ive been using the day lotion for over 6 months and really like it. It doesnt seem to do much to lighten pigmentation but what I really like is that its oil free and spf 30! Ive been using this eye cream for years and really like it. Real results, sinks in w/o shine! The Renegerie moisturizer is so much more. 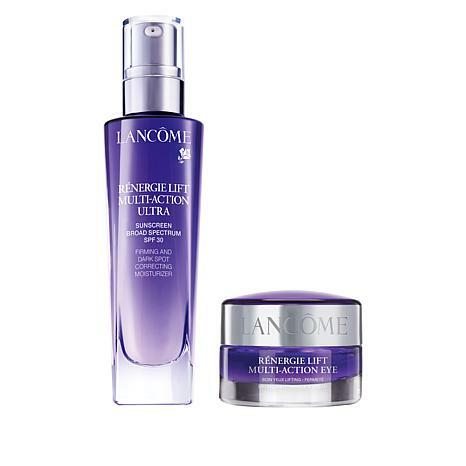 I have used many fine products for anti aging in the last few years after I reached my 60's. I've used Murad, Strivectin and most recently Elizabeth Arden serum and moisturizer. I have seen a real difference in fine lines under my cheekbones... they are almost gone in less than 1 week of use of Renergie lotion. I do wish I could buy the night time version without SPF as my eyes are very sensitive to most SPFs though not this one so far!Great product! The eye cream is THE best I've ever used! 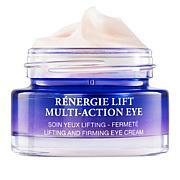 My eyelid was beginning to sag a bit, this cream lifted the lid! Around my eyes has improved tremendously! 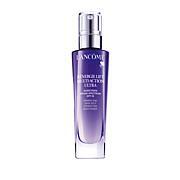 This and one other Lancome product would NOT be without! I also recommend the Ultra. I use it as a day cream. It's lighter than the usual creams and doesn't feel heavy, plus it's improving the all around appearance of my complexion. Worth the money on both products!! The creams are both light and smell fairly good. It smells light and a lot like sunscreen. I think its way too expensive for mainly sunscreen. I like it but wont spend the money for it again.